It is with the deepest regret that we learnt of the passing of our beloved friend and colleague, whose name has become synonymous with two iconic elements of nature in a country he loved, the birds of Trinidad and Tobago and the Asa Wright Nature Centre. A flood of great memories come to mind, which I hope you will allow me the opportunity to share with you even though you may already be aware of such sentiments and events as his life intertwined with ours at Asa Wright so meaningfully over several decades. 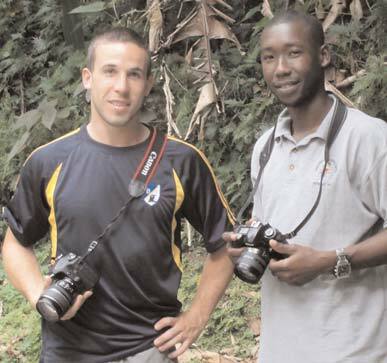 Richard was fondly referred to as the “birdman” as his knowledge and enthusiasm for birds was readily transmitted to all who were lucky enough to accompany him on hikes and field trips throughout Trinidad and Tobago. He was also a founding member of the worldrenowned Asa Wright Nature Centre, Trinidad, which he served faithfully as Chairman of its Board and contributed to shaping into the premier not for profit nature conservation facility that it has become almost 43 years after its creation. 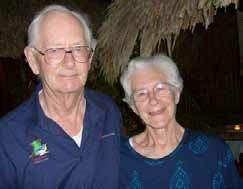 For more than four decades, everyone interested in the biodiversity of Trinidad and Tobago, in particular its birds, knew of Richard ffrench and benefited from his legacy of writings and lectures on many aspects of the birds of Trinidad and Tobago. 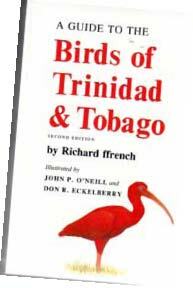 He was the highly respected authority on this group of fauna of the country and his seminal work, A Guide to the Birds of Trinidad and Tobago which he authored over 40 years ago, is still the definitive publication that every “birder” “must have” to genuinely appreciate the birds of these twin islands of the Caribbean. Early in May, the Asa Wright Nature Centre hosted a meeting with quarrying interests in the valley, concerned residents and members of government agencies involved in, or impacted by, quarrying. of Energy and Housing, Planning & the Environment to attend a meeting, to be held at the Centre. While the Ministers did not attend, several technical level government officers were present. These included officers from the Ministry of Energy, Land Use Division of the Ministry of Planning, Forestry Division of the Ministry of Agriculture, and representatives from the Environmental Management Authority. alarm at the extent of the environmental damage they had seen being done in the valley. a sense of hope emanating from the meeting, in that for the first time, many government officers had seen the destruction through the eyes of those who care about the environment. This could be the first actual step forward in having government and the quarrying industry realise that they must operate in a far more responsible manner. The meeting will re-convene, at Spring Hill, on June 30th. conducted by Denise Etienne, who at Asa Wright is a contributor to the overall growth in student and young visitors under age 12. Denise, employed with the Asa Wright Nature Centre for over 10 years, has worked in the Tour Guide department and once held the position of Senior Guide. During her career at the Centre her knowledge and passion for nature has flourished with a particular interest in naturalist teaching. She formalised this interest in 2008 during a nine-month teacher naturalist workshop at the Stony Brook-Millstone Watershed in New Jersey. Upon her return, discussions between her and members of the Board lead to the creation of the “Valley Schools Outreach Programme” (VSOP) and she was appointed to the Education department. weekly visits by Denise, but also include a field trip to the Asa Wright Centre. 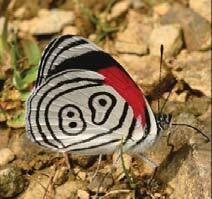 Arima area incorporating national spread, acceptance and participation. Persons willing to contribute and/or participate in this programme are asked to contact the Centre at asaright@tstt.net.tt or 667-4655. 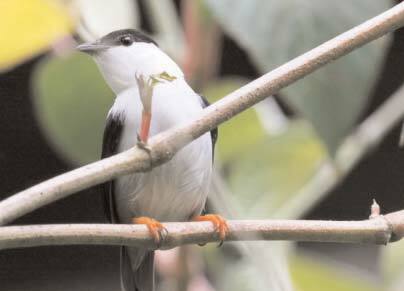 Leaving his job and homeland inDecember 2009, Courtney Van Beek set out as an explorer in search of his El Dorado – the Asa Wright Nature Centre, Trinidad. Still in his early 20s, Courtney recently completed undergraduate training in graphic design at Massey University, New Zealand, and is an enthusiastic amateur wildlife photographer. He arrived in Trinidad two months after leaving New Zealand (with brief stops in Panama, Argentina, Peru and Chile) to actualise his commitment to volunteer at the Asa Wright Nature Centre. of the Ian Lambie Education Unit. He couldn’t contain his glee when he was asked to photograph some of the wildlife he would later use to prepare a Butterfly Identification poster and other educational material.Courtney assisted in redesigning Asa’s bar menus, produced bookmarks and posters, and expressed keen interest in Asa Wright’s Butterfly Garden initiative. gratitude to Courtney Van Beek for his priceless contribution and wishes him the best in his endeavours. The nature centre welcomes persons with similar commitment to the environment to partner with us by becoming a volunteer, intern or financial contributor. Cover of the children’s book produced by Lonsdale Saatchi & Saatchi for Guardian Life Wildlife Trust and Pawi Foundation, through Lonsdale’s partnership with Asa Wright. Trinidad and Tobago’s Lonsdale Saatchi & Saatchi Advertising Ltd has won six Gold and 22 Silver Addy awards, including the Best of Show award, at the Caribbean Advertising Federation’s annual Awards for Excellence. We are extremely proud of our partners at Lonsdale for their achievement, especially since five of the awards were given for work done through the Lonsdale partnership with the Asa Wright Nature Centre. Two of the Silver Addys were awarded for illustrations in the “Step Away… (and visit Nature at Asa Wright)” concept, and another Silver was won for the “Asa Wright Birds” poster. 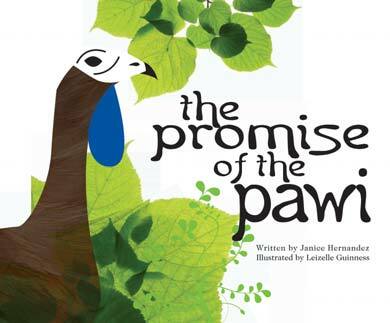 The Promise of the Pawi children’s book, which highlights the plight of Trinidad’s only endemic bird, won two Silver Addys – for Illustration and Publication Design. Pawi. Dr Carol James chairs both the Asa Wright Nature Centre and Guardian Wildlife Trust boards. The book will be launched on April 14 at the Normandie. Asa Wright enjoys a special working partnership with Lonsdale, who through their worldwide Saatchi & Saatchi network’s BLUE project have helped us with public relations initiatives over the past year, including the production of this monthly Bellbird newsletter. Last October, the Centre was the venue for the completion of a major Tree Planting initiative conducted by the West Indian Tobacco Company. Over 8,000 forest trees were planted at L’Orange Estate in Aripo and 500 fruit trees planted at Spring Hill. 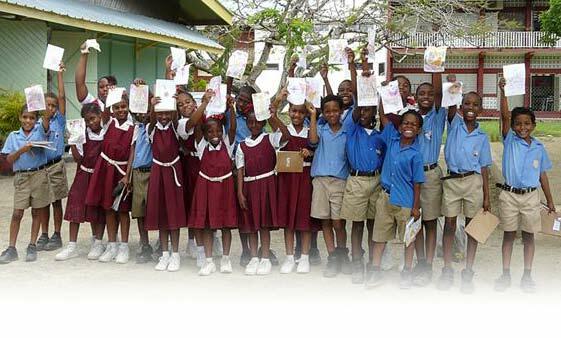 In early and mid-February, two teams from West Indian Tobacco returned to Spring Hill to clear and nurture the young seedlings. They visited the areas where their colleagues had done the planting, and carefully removed all weeds and vines around the young plants. 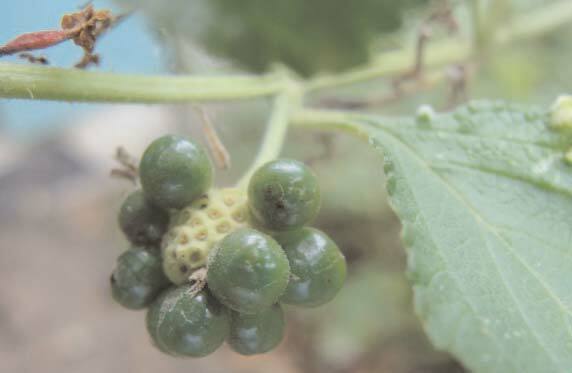 In these follow-up exercises, West Indian Tobacco ensured that all of their staff had “put a hand” into the planting and growing process, so that all could feel genuinely involved. Each group enjoyed breakfast on the Verandah before retreating to the Jonnie Fisk Conference Centre – that is the old Mango Room – for a Greening pep talk by West Indian Tobacco Operations Manager Sheldon Taitt. There was also the viewing of a video on the tobacco company’s commitment to “Going Green”, and a brief welcome to the Centre by Peter O’Connor. The teams then walked out along the driveway to where the fruit trees had been planted, and spent the rest of the morning clearing and ensuring the seedlings would survive. They then walked back, with their appetites, to the Main House to enjoy a typical Asa Wright lunch. 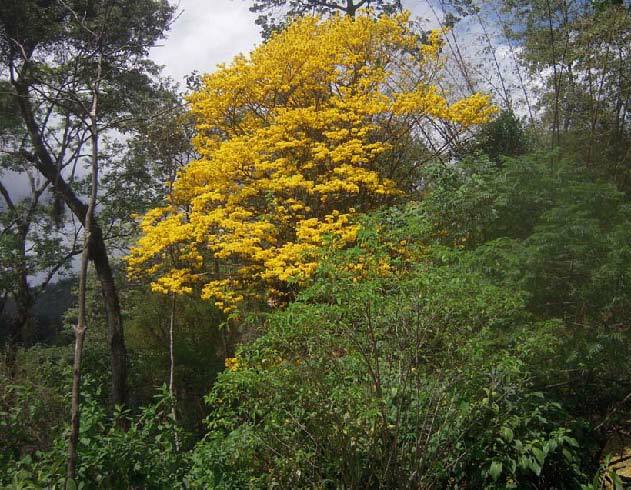 The Asa Wright Nature Centre is happy to welcome West Indian Tobacco teams to the Centre, and looks forward to partnering with other companies who seek to reduce their carbon footprints in partnership with us in the fresh mountain air of the Arima rainforest.